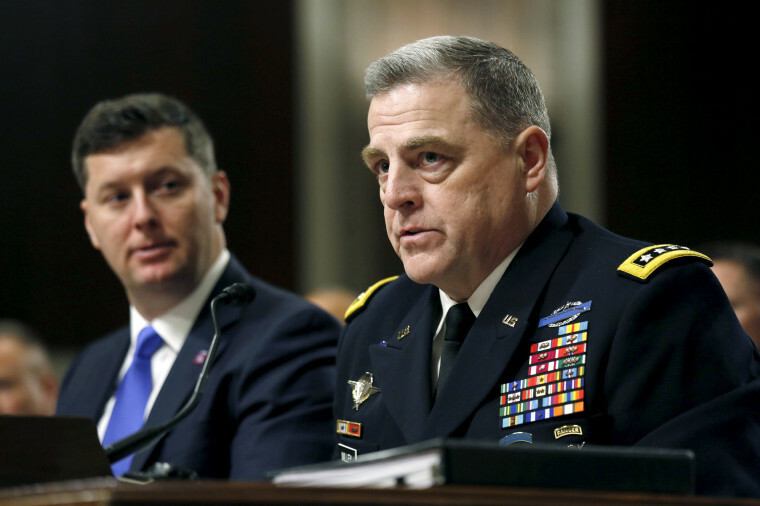 WASHINGTON — The Army's top general said Wednesday his service has failed in a "significant amount" of cases to alert the FBI to soldiers' criminal history. The statement by Gen. Mark Milley, the Army chief of staff, was the most concrete indication that the problem is not confined to the Air Force. That military branch acknowledged last week that it had failed to tell the FBI about the assault conviction of Devin P. Kelley, a former airman who killed 26 people in a Texas church on Nov. 5. That failure made it possible for Kelley to acquire weapons that federal law prohibited him from buying or possessing after his 2012 conviction. "There are gaps and failures on our part to report in to the FBI," Milley said in an exchange with reporters at the Pentagon. "We have a significant amount of omissions," he added. "It clearly tells us that we need to tighten up." Milley was not specific about the kinds or number of cases that have not been reported to the FBI as required. At one point he said the Army's problem is "not too bad," but he also said "the percentage is too high" and it needs to be addressed. "It's probably in the 10 to 20 percent" range, he said, adding he would provide a firmer, more specific number when it's available. "It's not just an Air Force problem. This is a problem across all the services where we have gaps in reporting criminal activity of people in service." The day after the Texas church shooting, Defense Secretary Jim Mattis ordered the Pentagon's inspector general to review the handling of criminal records in the Kelley case. The airman was convicted of assaulting his then-wife and stepson. He was sentenced to 12 months in jail and given a bad conduct discharge, which was completed in 2014.